Everyone that works at Chevrolet of Naperville really works for every customer that walks through the doors. We go out of our way to make sure the Chevrolet of Naperville facility is a one-stop location for everything a car owner would need from sales to service. 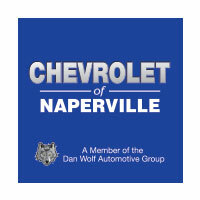 Not only does Chevrolet of Naperville offer a full roster of Chevy cars, trucks and SUVs but we also have one of the most modern service centers in the Naperville, IL area with a staff filled with General Motors factory-trained service technicians. Having service technicians that are as well trained as ours gives the service department at Chevrolet of Naperville the ability to handle any maintenance or repair need that comes our way. Additionally, we are a fully qualified facility to provide the services offered under the Chevrolet Complete Care program including warranty work and road side assistance. The Chevrolet of Naperville Service Department has fully embraced the power of the internet. This allows us to have one of the most efficient operations in the year. When you create a service account through our website you can track past service history, find maintenance schedules for your vehicles, sign up for personal reminders about service appointments as well as schedule appointment. To make an account, click the link and follow the instructions from there. Regular maintenance checks and follow maintenance schedules are some of the most cost effective ways for people to keep their cars, trucks and SUVs from running in top condition. Because of our busy schedules it can be hard to find time to make an appointment. Chevrolet of Naperville offers online appointment scheduling. This allows customers to always have time to make an appointment to see our service professionals. One of the worst things people inflict upon their vehicles is continuing to run them with old and broken down oil. While the old standard of having your oil changed every 3,000 miles may not be true anymore; it doesn’t mean oil never needs to be changed. When oil breaks down too far it can start to actively damage sensitive engine components that can lead to an engine being completely shot or leave the customer with an expensive repair bill. Chevrolet builds some of the most reliable cars on the road today. However, despite the meticulous attention to detail, flaws will happen and repairs will need to be made. In an effort to stand behind the vehicles they build, Chevrolet issues a number of different warranties that cover just about every major component of the vehicle. Any of our Chevrolet of Naperville service technicians will be able to explain what is covered under a Chevrolet warranty. Chevrolet offers one of the most aggressive and complete warranty programs in the automotive industry. In order to show to customers how good they have with a Chevrolet Warranty, they have created a tool that breaks down almost every automakers’ warranty program in one place to show how the Chevy Complete Care Program stacks up to the competition. Everybody loves the opportunity to save money on the things they need. Chevrolet of Naperville is well known for offering a very wide-ranging program to save customers money with a variety of coupons that change regularly. Customers who take advantage of the coupons offered will be able to save a significant amount of money on the purchase of tires, a complete oil change/tire rotation package, air filter replacement and so much more. At the beginning of 2014 it became illegal to use a cell phone while behind the wheel of a vehicle in the State of Illinois. This doesn’t mean you have to go without contact to family, friends and co-workers when you are driving. You just need to follow the rules. The addition of a Bluetooth communication device will allow you to pair your cell phone or smartphone to the system and have full access to everybody. One point out service technicians will always make is that having your car in regularly for service is the best way to spot problems before the get out of hand. The Chevrolet of Naperville Pit Pass is a free service we offer where we will give your vehicle a basic inspection and top off essential fluids like oil, washer fluid and transmission fluid. You will never need to make an appointment for a Pit Pass Visit.